In many households in South India, the consumption of rice is considerable as it is the staple food. Hence, sambar, the versatile accompanying gravy/curry made of lentils and vegetables is equally popular. It is used with rice as also with items like idli, dosa, vada, etc. There are different types of sambar. 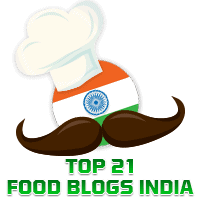 For example, elsewhere in this blog, you will find recipes for Mixed Vegetables Sambar, Radish Sambar, and Thakkali Kulambu. The name for today's sambar comes from fresh fenugreek leaves being called Vendhaya Keerai in Tamil. This recipe has been adapted from Methi Sambar/ Vendhaya Keerai Sambar from the well-known blog, Subbu's Kitchen. It tasted delicious and I hope you will enjoy it as much as we did. Pluck the fenugreek leaves from their stems and wash thoroughly. Roughly chop them and keep aside. Wash and cook the toor dal in a pressure cooker for 2-3 whistles or till the dal is cooked. Grind the above roasted ingredients along with coconut gratings and 3 baby onions to a smooth paste using just the required amount of water. Keep aside.